From time to time, the Aleheads will offer up a Primer on various beer essentials. Today’s Primer is about…glassware? Really? Glassware? That’s what you guys want me to talk about? Few aspects of beer culture are as daunting or confusing to newbie Aleheads as the myriad variety of vessels available in which to pour your sudsy beverage. Venture into any well-stocked beer bar and you’re likely to see a dozen different types of glasses…each one associated with a specific style of beer. Is there any point to the glass madness? Or is it all just marketing and wankery? The truth, as it often does, lies somewhere in between. Marketing (and wankery) do indeed play a big role in glassware. Every ale factory worth its salt will slap their logo on a beer glass…and many of them will specifically engineer glasses to showcase their brews. Jet off to Belgium if you want to see this art form at its apex. Seemingly EVERY beer in Belgium has its own glass. I’ve visited pubs in Bruges where the entire back wall is lined with hundreds of different vessels. Order six brews in Bruges, and you’re very likely to get six remarkably different glasses. It’s fun waiting to see what size and shape glass will arrive with your brew, but is there any function to go with the form? While individualized glasses are great marketing gimmicks, there is no question that different glasses bring out different characteristics in beer. Ask an oenophile if you can drink a burgundy out of a chardonnay glass and their monocles will fall to the floor in a tiny, tinkly crash. The same is 100% true for beer (except for the monocle part…everyone knows we wear goggles). There’s a science behind beer glassware and when your Weihenstephaner Hefeweisse comes to you in a traditional Weizen glass, there’s a reason behind it other than the fact that it “looks cool”. Although, to be honest…”looking cool” IS a big part of the design of glassware. 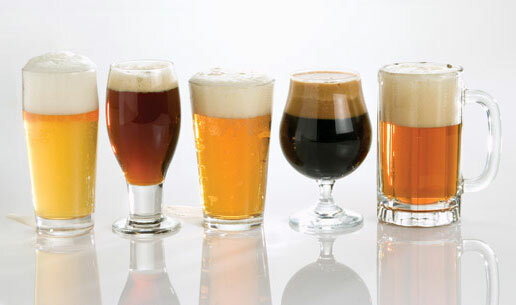 We drink with our eyes first and different glasses will accentuate the look of different beers in different ways. Slender glasses are designed to showcase carbonation and effervescence as the bubbles travel up the long chute of the glass. These narrow glasses are also generally used for lighter colored beers like Weizens and Pilsners since they best reveal the delicate coloring of the brew. The mouths of certain glasses are designed to capture and maintain the head of a beer which also adds to the overall visual appeal of a brew. While appearance is a big component, the aroma of a beer may be the most important facet to consider during a tasting (since our noses can detect many more smells than our tongues can detect tastes). Some glasses are designed to capture and concentrate the “volatiles” of a beer. The volatiles are the evaporated compounds that give a beer its nose. Hops, esters, phenols, alcohol, spices, etc…the right glass can accentuate the nose of a beer by concentrating the volatiles and by promoting good head development and retention. A fizzy, fluffy head will release a ton of aroma to your olfactory bulb so a glass that helps create a big pile of the fluffy stuff on top of your beer is worth its weight in gold. Then, of course, there’s the taste. Like wine glasses, beer glasses are designed to best emphasize the taste of different beers. Think of fluid dynamics when you sip out of a beer glass. 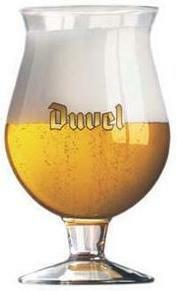 Beer pouring out of a glass with a “lip” on it (like a tulip glass) will hit your mouth up front. A standard pint glass will hit you somewhere in the middle. And a tapered glass like a snifter will hit farther back in the mouth. This concept comes from the world of wine where different glasses are designed to deliver different wine varietals to certain parts of the mouth. The idea, I assume, is based on the idea of a “tongue map” where certain sections of your tongue are responsible for specific tastes (like bitter, sweet, etc). But since the concept of the tongue map has been thoroughly and utterly debunked, I’m not sure how delivering liquid to specific sections of your mouth has any real relevance. Color me skeptical in terms of this aspect of beer and wine glassware science (though I’m sure I’m wholly mistaken, as always). 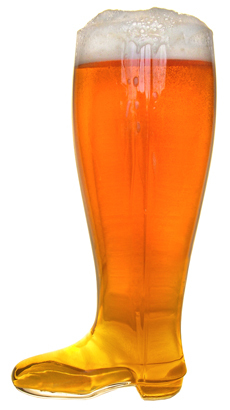 The Pint Glass: The most common and plebiean of beer vessels is the standard pint glass. As the name implies, it’s designed to hold a “pint” of beer…but even that seemingly incontrovertible definition is not without some controversy. In the US, we generally use the American pint which is a standard 16 ounces. However, in the UK, most pubs still use the outdated Imperial Pint which is 20 ounces (if you’re lucky, some American pubs use Imperial Pint glasses as well). To further muddy the waters, certain unseemly establishments have recently begun using pint glasses with thickened glass bottoms which creates a 14 ounce “pint” glass. If someone serves you one of these sham pints, feel free to smash the glass in their face…the thickened bottom should serve as a nice bludgeon. 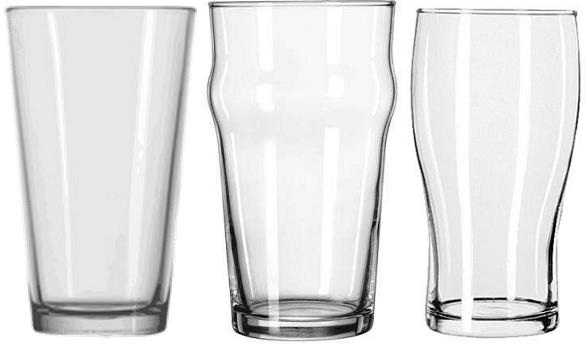 There are three basic types of pint glass. The conical glass is the most common…think of a tall cone with the tip cut off. Sometimes called a shaker glass or a tumbler, these are the beer glasses used in fast casual restaurants across the country for water, beer, milkshakes, etc. They don’t do anything particularly well, but they serve their purpose. A nonic glass (short for “no nick”) resembles a conical glass but has a pronounced bulge about three quarters of the way up the glass. This allows for a better grip on a wet glass and makes the glasses easier to stack and more resistant to chipping or “nicking”. A tulip pint glass is the glass most bars will serve your Guinness in. It’s a rounder, flared pint glass that looks like the top half of an hour-glass. While they’re a bit more attractive than the conical or nonic glasses, they function almost exactly the same way. Regardless of which type of pint glass you use, they’re all made for roughly the same reason. They’re cheap to produce, easy to stack and store, and they’re exceptionally easy to drink out of. There’s no confusion as to how to hold and sip a pint glass. Just grip it and rip it. Pint glasses don’t do anything particularly well, so they’re not really designed for a specific beer style. They’re really just around to keep your beer from falling on the floor. The Mug: Some beer glass primers will describe a fourth type of pint glass…the jug. The jug looks a like dimpled hand grenade with a handle. The handle limits the warmth transferred from your hand to the glass which keeps the beer colder. The thick, dimple pattern on the glass also strengthens the vessel which allows for more vigorous toasting and clinking of glasses (always a good time). While jugs do indeed hold a pint of liquid, they’re so different from the other three pint glasses, that I prefer to think of them as a different class entirely: the handled glass, or mug. In addition to the jug, the mug class also contains the ever-popular Oktoberfest glass which is basically a straight-sided, dimpled jug that holds one liter of beer. The seidel glass is a tall, smooth-sided (no dimples) mug that holds a half-liter of brew. The tankard is a squatter mug with a flared, heavy base…often made of pewter. And the classic stein is a stone mug with a hinged lid on top which was used in the medieval era to prevent insects from landing in the beer (or to prevent enemies from poisoning your brew when you weren’t looking). There are dozens of other styles of mugs too, but most are variations of the above. The chief advantage of a mug is that it holds a shitload of beer. Also, again, there is no glass more fun to toast with than a big ol’ mug of ale. Like the pint glass, the mug is very versatile, but not designed to take advantage of any particular style of beer. Although you’ll often see them used with German lagers, you can drink anything out of a mug…just remember to toast often and vigorously when using one. The Flute: Jethro Tull’s favorite beer glass, the beer flute is a version of (and sometimes exact replica of) a traditional champagne flute. 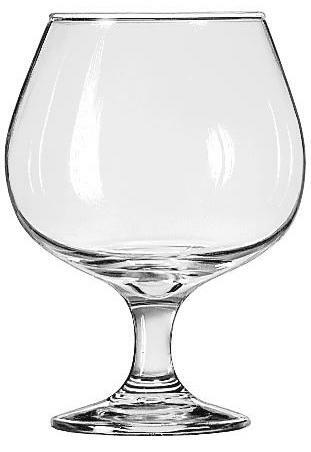 The long, lean stemmed glass is mostly used with delicate, fragrant lambics, wild ales, sours, and fruit beers. The narrow shape and small mouth maintains carbonation while aggressively focusing and channeling the volatiles to maximize the nose. The tall glass also accentuates the vibrant colors and lacing of such beers. Flutes can seem a little foofy, but if you’re drinking a fruit beer, what do you care? The narrow mouth encourages small sips and introspective tasting. While there’s nothing classier than sipping a lambic out of a flute glass, it can make you a little self-conscious. Make sure you have a giant mug of Scotch Ale on deck at all times when using a flute. The Snifter: The height of snobbishness, the snifter is the glass of choice for cognac and brandy lovers. Picture a well-heeled lush in front of a fireplace in Aspen and chances are your imaginary construct is swirling a snifter in his hand. But the glass also serves a very useful function for beer drinkers. The short, stemmed glass allows the heat from the drinker’s hand to warm the beer while the bulbous, deep bowl lets you swirl and agitate the brew producing a wealth of volatiles. These volatiles are then trapped in the narrow mouth allowing you to breathe deep the boozy, malty goodness. Since they were designed for high-octane fortified wines, snifter glasses are best used with very high-gravity brews like barleywines, old ales, Imperials, and Trappists. The Goblet: Probably my favorite piece of beer glassware, the goblet combines the classiness of a snifter with the robustness of a mug. Thicker, heartier versions are called chalices and they are the epitome of beer glass design (in my humble estimation). While goblets are thinner and more delicate, chalices tend to have thick-walled, straight or slightly curved bowls on a stout and sturdy neck and a solid base. Many goblets have etched bottoms (like the heavily marketed Sam Adams Perfect Pint glass) to create a “carbonation nucleation point”. In layman’s terms, the etched area gives carbonation a natural place to form (rather than on the smooth glass) so there will be a steady stream of new bubbles keeping the head alive and well. Goblets and chalices are built for big, bold beers like robust, high-gravity Belgian brews. The wide, relatively shallow bowl maintains a beautiful head and the big, open mouth encourages deep draughts. The Pilsner Glass: The pilsner glass, as the name implies, was designed to accentuate the features of pilsners and pale lagers. Tall, thin, and tapered, the pilsner glass generally looks like a fat flute glass or a skinny tulip pint glass (though some are conical). Some versions have stems while others just have a narrower base for gripping. Like the flute glass, the pilsner glass is designed to showcase the delicate coloring of pilsners and to trap volatiles to maximize the subtle nose of the beer. The narrow body promotes carbonation while the wider mouth holds a nice head. The Weizen Glass: The weizen or wheat glass looks like a tapered pilsner glass on steroids. Generally holding about half a liter of beer, the thin-walled weizen glass serves much the same purpose as a pilsner glass (accentuating color, promoting carbonation, and trapping volatiles in the tapered mouth), but it holds substantially more beer and a much, much larger head. That comes in handy with German wheat beers which usually have big, fluffy, beautiful heads. If your server doesn’t pour your Weihenstephaner Hefeweisse into a traditional weizen glass, find another bar. The Stange: The stange (German for “stick”) is probably the beer glass you’re least likely to see. Essentially just a straight-sided cylinder (think of a Collins glass, but designed for beer), the stange is generally only used with Kölsch-style beers these days. The glass holds volatiles very well and helps maintain a tight, long-lasting head which is perfectly for the very delicate, fragrant Kölsch. The German becher is a version of the stange, but it’s a bit shorter and has a fatter body and slightly curved sides. The becher is predominantly used with alt-style beers. The Tulip: A versatile glass, the tulip is essentially a goblet with a flared top. This flare forms a lip which fires the beer right into the front of your mouth allowing the brew to hit every tastebud on your tongue. The bulbous body holds the beer while the narrower neck captures volatiles and carbonation to enhance the nose. The flared top creates a massive head which makes for a beautiful looking brew (picture a fresh-poured Duvel which is often half-head, half-beer). While most beers do fine in a tulip glass, they are best at accentuating very aromatic beers like Scotch ales, wild ales, and pretty much any Belgian brew. The Wine Glass: BeerAdvocate notes that many beer bars are serving aromatic Belgian beers in high-quality wine-ware these days. 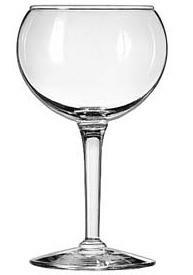 Since a wine glass is generally just a taller version of a goblet or tulip glass, it serves the same purpose. There’s nothing wrong with drinking a high-quality brew out of a vino glass…just keep the fermented grape juice away at all times. Das Boot: Legend has it that a Prussian general promised his soldiers that he’d drink beer out of his boot if they won a battle (he was clearly in a fraternity in his younger days). When they prevailed, he wisely asked a glassmaker to fashion a boot-shaped vessel so he didn’t have to chug toejam-flavored pilsner. Whether any of that is true or not, it makes for a great story and the beer boot is both fun and challenging to drink from. While it doesn’t really provide any bonuses as far as accentuating the features of the beer inside, the beer boot does have one distinct advantage…it’s huge (usually 1 or 2 liters). After 2 liters of brew, the last thing you’ll care about is whether your beer glass is forming a proper head for your beer. The Yard: Like the boot, the yard glass really only has one purpose…to hold a ridiculous amount of beer. The yard glass, as its name implies, is three feet long and most come with a special wooden stand to keep them from toppling over. Tapered on the top with a long, slender trunk and a large bulb at the bottom, a yard will hold about 1.5 liters of beer. Half-yards are also somewhat common, but they’re for pussies. Drinking from a yard is remarkably challenging since as soon as the air bubble reaches the bulb on the bottom of the glass, the beer rushes towards the drinker’s mouth in a wave. Many a rookie yard drinker (including yours truly) have ended up wearing quite a bit of brew after their first encounter with this beast of a glass. Hybrid Glasses: Finally, we have “hybrid” glasses which combine the best elements of other types of glassware. Search on-line and you’re likely to come across hundreds of varieties of beer glasses that don’t fit neatly in any of the above categories. Some are just for show or marketing purposes, while others have a true functional purpose. This style is perhaps best represented by the popular Sam Adams Perfect Pint glass which was supposedly designed to best showcase the Sam Adams Boston Lager. The glass has the tapered base and bulbous middle of a pilsner, the thin glass of a weizen, the etched carbonation nucleation point of a chalice, and the wide mouth and flared lip of a tulip glass. While clearly built as a marketing gimmick, the Perfect Pint glass is actually remarkably versatile and is a wonderful piece of beer-ware for almost every variety of brew. In the end, the best glass to drink your beer out of is the one that’s available to you. The wrong glass for the wrong style certainly won’t ruin your enjoyment of the brew. Hell, even if you have to drink straight from the bottle, can, or tap (Note: the latter is not recommended if the bouncer is present), you’ll still get “most” of the nose and taste from the brew. It’s just beer, after all…and there’s no point in crying into your suds just because you’re drinking a Kölsch without a proper stange glass. BUT…if you do have access to a well-stocked bar (or your own extensive glassware collection), try sampling different styles from different glasses. I think you’ll be pleasantly surprised at how certain vessels can maximize the aroma and flavors of different beer styles. Beer glassware is part marketing, part art, and part science. Just remember that the key component to any beer glass is what goes INSIDE of it. To paraphrase Coach Finstock, if you get the beer part right, everything else is cream cheese. Posted in Beer Culture.Tagged Beer Glasses, Boot, Flute, Glassware, Goblet, Mug, Pilsner, Pint, Snifter, Stange, Tulip, Weizen. Brother Barley, I know you’ve peered into my beerware cabinet on more than one occasion (It’s clear glass, not hard to do). With the exception of the tankard, I have literally every single glass that you’ve listed in this post. I think you’ll also remember that every time we try some cool new beer and reach for the appropriate glass, I have to clean off the dust and pick out any odd bits that have collected over the years. As much as I like the appropriate glass at home, I also like things that can go in the dish washer without stripping the paint or cracking the rim. The truth is, I use one tulip, one goblet, a Weizen glass, a dozen or so shakers/pints depending on what’s clean, and two Sam Adams Perfect Pint glasses. 90% of everything I drink ends up in the Sam Adams glasses – They’re perfect for the hoppy monsters that I tend to gravitate toward. The other 10% are Weizens, draught cans, and Belgians that end up in their appropriate receptacles. The shakers are for guests and lemonade. I’m glad you got around to this topic…I’ve found that surprisingly the Stella Artois goblet is a great vessel for my preferred beers (IPAs and IIPAs, as well as various belgian beers). I’m still quafing as many supplications and consecrations as I can afford.